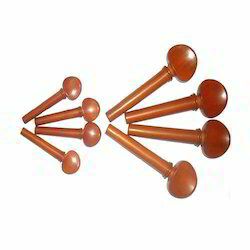 We are unique supplier of Boxwood Viola Pegs Hill. 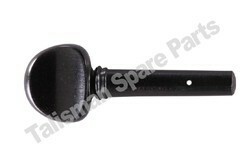 We are prominent supplier of Viola Pegs. We are engaged in offering Viola Pegs. Our organization is indulged in offering Viola Pegs to our clients. These are designed and developed by adopting latest design and production mechanisms that allow us to successfully meet the supply demands of string instrument accessories & parts as demanded by customers and that too at competitive prices. We are famous supplier of Viola Pegs. Our skilled craftsmen design a comprehensive and attractive range of Viola Mircuit Pegs which is crafted by using high quality ebony wood as the raw material. We are engaged in supplying Viola Pegs. We are dealing in Ebony Oud Viola Pegs.